In Minnesota, summer is often long awaited—with an anxious countdown to sunshine, warm weather and time to take in the natural beauty that surrounds us. However, in February and March, when summer’s long days are still firmly in the future, it’s time to plan and sign up for activities and programs that keep kids engaged and entertained for 12 weeks of summer fun. Do you need part- or full-time childcare for little ones? Is your child interested in learning a new skill or hoping to improve an existing talent? Are you hoping to ensure your child gets off the couch or away from screen time? Would your middle schooler benefit from gaining more independence or leadership experience? How can you structure a memorable summer without feeling like a taxi driver? Next, get your kids involved in designing their summer. Start the brainstorm by explaining the goals and priorities for the season, and then let the creative ideas flow. Supplement your family’s bucket of ideas by connecting with your peers. Has your friend had a good experience sending their child to horse camp? 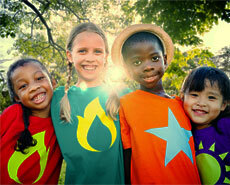 Does your child have a friend that they’d like to do a summer program with this year? Ask around. By now, your idea bucket should have plenty of options for a fantastic summer. Revisit your goals and sort through the ideas to determine the items you’ll do as a family and the activities kids can do on their own. There’s a good chance the list of ideas will be longer than what you can realistically tackle this summer. Save these ideas for use throughout the year. Create a calendar that the whole family can see with this year’s summer vacation, family fun and just-for-kids activities. Use whatever works best for your family—whether it’s a shared online calendar, a big sheet of paper in the kitchen or a monthly markerboard. It’s not critical to plan every individual activity for each day of summer, but perhaps you can block the calendar with items like, “at-home activity” or “family excursion” that can work with your bucket of ideas when the day comes. And don’t forget to take time for yourself—make time in the schedule for needed breaks where you can focus on an activity that’s just for you.